Part P – which DIY electrical work is legal? This subject has caused a lot of confusion for people, and I hope that this article will help you to understand the issue. All domestic electrical work in England and Wales now comes under Part P of the Building Regulations. This includes smaller electrical jobs, sometimes done by a DIY installer, that do not need to be notified to a Local Authority Building Control department under Part P. An up to date list of which work does not need to be notified can be obtained from your local Building Control. But there is actually far more to it than that. Part P applies to all fixed electrical installation work in dwellings, whether carried out on a DIY basis or by a professional electrician, whether or not it is minor work, and whether or not the work is notifiable to a Building Control body. Some people think that it is not an issue if they only do small non notifiable jobs. It is perfectly legal to carry out smaller DIY electrical work in your home if you can be sure that it is compliant with BS7671. Otherwise you could be breaking the law, putting your home and family at risk, or potentially causing problems if the home is put on the market for sale. 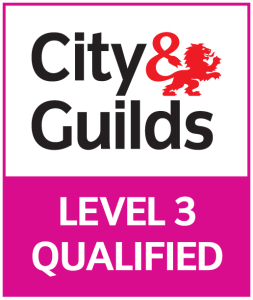 A route which provides a degree of safety for a DIY installer is to have their work tested and certified by a Local Authority Building Control body. This requires payment of a fee, and notifying them before the work is commenced. Some DIY enthusiasts feel confident in doing their own electrical work. However as the old saying goes, a little knowledge can be a dangerous thing. I know this first hand, as I have seen electrical work done by some of my clients, and others, which they consider to be done correctly just because it seems to work. Understandably they thought that because it works it is probably ok! Although the internet now allows people to easily find out some of the basics of doing specific small electrical jobs and more, there can often be some vital knowledge that a DIY installer is missing, and which could have serious consequences. There may be an existing fault on a circuit that has gone unnoticed and undetected, there may be a non standard circuit with special requirements, or the alteration could inadvertently affect the safety of a different part of the installation. In addition, unless a DIY installer goes down the route of having their work tested and certified by a Local Authority Building Control body, they will not be likely to have the full range of calibrated test equipment necessary to test and certificate the work. Unless any new work is subjected to the required range of tests, just one mistake could cause a fire, electric shock or fatality, even well into the future. The testing is not just to ensure that a circuit or item of equipment will work. Its main purpose is to ensure that it works safely, and can fail safely, in the event of a fault. Hence I would exercise caution over carrying out any electrical work in your home even if you are confident in doing so. Damage caused to electrical circuits from incorrect DIY work can be costly to repair and it’s likely to be far cheaper to use a competent electrician from the outset to carry out the work. It is very easy to get electrical circuits to work. It is quite a different matter to do this safely, and to ensure the work complies with all the requirements of Part P, the latest IET Wiring Regulations BS7671, all other applicable legislation, and to industry best practice.